All of the items on this page are to be cleared at low prices so don’t miss out. If you are looking for something to go in an outside kitchen or a downstairs apartment for rentals then these could be for you. Contact us for more information on each item. 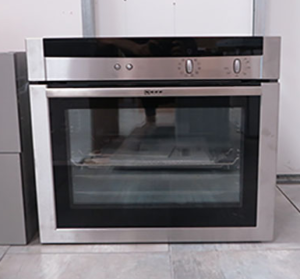 Ex Display Neff Oven to clear 200€. 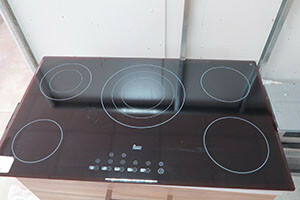 Teka 5 ring Ceramic Hob Ex Display 150€ (small chip on edge).